Rising leaders in the financial industry must approach their responsibilities with a strategic mindset. Although gaining focused knowledge is one way to become a successful business leader, it doesn’t end there. The following tips offer a few ways to excel in the distinct but related fields of finance thought leadership and department stewardship. Thought leadership is based on using personal branding and focused knowledge to promote experience and expertise. Professionals share their insights to teach and converse with peers, all while positioning themselves as authorities in their fields. These steps can help professionals improve their leadership profiles. Becoming a respected thinker in a specialized field such as finance won’t happen overnight. No matter how strong an individual’s grounding in the concepts of business money management, that raw knowledge must be complemented by experience. Financial experts will spend time throughout their careers delving into their own personal niches, pursuing interests and areas of expertise that will provide a great basis for thought leadership content. C-suite advisor Matt Sweetwood, writing for Entrepreneur magazine, specified that producing informational content should become a repeating process for business leaders who aspire to become influential and respected. As years pass, corporate officers will gain new perspectives, enhancing their insights, whether they publish their perspectives on industry trends in writing, audio, video, or across multiple channels and venues, such as industry association journals. Furthermore, the repetition will sharpen the process of creating the content. Aspiring thought leaders may pin their hopes on getting content published on influential websites. Many professionals compete for space in this media, so aspiring thought leaders need to submit their best insights and likely try more than once. Fortunately, it’s easier than ever to self-publish writing or multimedia materials such as podcasts or video blogs. Writing for Forbes, entrepreneur John Rampton described the slow but steady process of moving from a personal blog to bigger platforms. Individuals can start publishing content on their own, targeting a niche market and becoming a prominent thinker on that specific topic. They can use platforms like Medium and LinkedIn to post their content. The next step is to commence communicating, networking, and cross-posting with experts in related disciplines. As a result, larger publishers may solicit a professional’s thoughts on a subject. Today’s top word in corporate spheres is “disruptive.” Companies want to break new ground in their markets, and thought leadership means presenting new ideas rather than just repeating the accepted wisdom. This is the difference between aggregation and becoming a primary source of knowledge for followers. As Rampton noted, he found his niche by examining blockchain technology for use in mainstream payments while it was still an emerging innovation. In the early days of Bitcoin and blockchain ledger usage, the related technology seemed to have little to do with the financial industry, walled off and sometimes associated with black-market transactions. In the years since, these systems have been frequently cited as a future direction for everyday payments and transactions. By seeing this potential ahead of time, Rampton carved out a thought leadership niche. This demonstrates how finance professionals with cutting-edge knowledge can find new concepts to explore in their content. There was a time when creating video-based content required a studio and a large, dedicated budget. Now, numerous streaming platforms are accessible for free, and smartphones include cameras capable of producing quality videos. According to Sweetwood, leaders should take advantage of social networks that offer video streaming, such as Instagram, Facebook, and LinkedIn, to create compelling visual material. Thought leaders can live stream their attendance at industry events, share their thoughts on emerging issues, and express their point of view on a pressing issue in a matter of minutes, reaching a wider audience. The foundation upon which these promotional methods all rest is the successful day-to-day management of a company’s financial team. Taking a forward-thinking and optimized approach to everyday practices provides the raw materials out of which thought leadership is built. To become a financial thought leader, a professional must have both deep industry knowledge and the kind of unique experience that comes from working — and excelling — in leadership roles. This is the practical expertise that keeps the department on track and acts as inspiration for content. The following are four relevant best practices to guide company and departmental leaders. There’s a temptation for financial professionals to approach their roles primarily as skeptics, to limit business spending when too much optimism seems to be driving the company’s direction. According to Deloitte, top young CFOs, the leaders in the field, will be able to realize when an investment will lead to growth within a business’s strategy and embrace that spending. Some expenditures will prove more costly in the long run if they are passed up. Taking a strategic approach means becoming an expert at weighing risks and benefits, as well as viewing financial decision-making in terms of pursuing the company’s overall objectives and mission. This outcome can manifest as a close working relationship between finance and overall leadership. Ex-Walmart CFO Charles Holley recommended integrating risk management principles into daily decision-making, and consulting with both management teams and the board to gain different perspectives on long-term investment prospects. Leadership doesn’t mean knowing every detail about each function in the financial department. As Deloitte pointed out, financial executives should know their direct reports’ core competencies and roles, as well as the latest trends. An effective financial leader won’t stretch him or herself too thin. Instead, this professional will be surrounded by talented and handpicked professionals with deep investment in their disciplines, from IT to accounting. Every department counts on finance, so great financial leaders are expert communicators. Oxford Economics revealed that companies’ profits and revenue growth suffer when departments silo themselves and the CFO doesn’t work closely with teams outside of his or her wheelhouse. 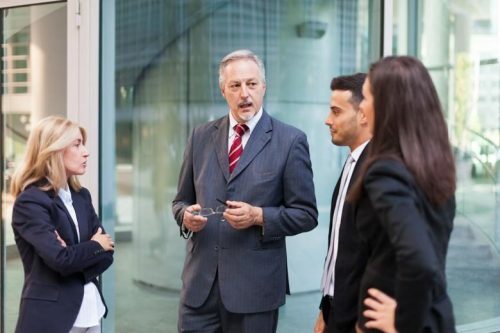 The research specified that it’s more likely for large companies than small organizations to have a lack of connection between leaders of various departments. If CFOs find they are too cut off from other parts of the company, it’s a sign they should spend more time and effort building connections with departments such as marketing, research and development, and customer service. While financial professionals are not required to be experts in information technology, acquiring basic knowledge and understanding around enterprise programs and systems, from databases to security and beyond, is important. The ways data and insights are disseminated today have changed compared to the past, and leaders who can keep pace with the change of format and pace will be well-positioned to provide direction. In an interview with Financial Executives International, SAP North America Chief Operating Officer Thack Brown presented this reality in simple terms. While the IT department will remain the “owner” of solutions such as enterprise resource planning, financial executives should be able to get value out of these tools. As finance professionals establish themselves as leaders in their organizations and industries, colleagues will begin to look to them as trusted sources on emerging issues and solutions. 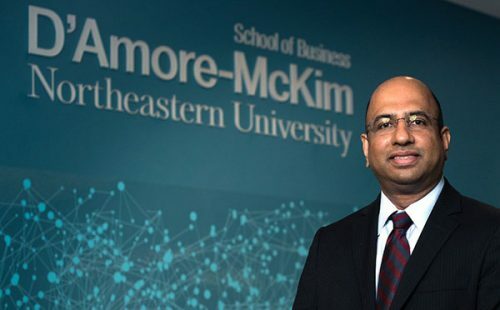 With an Online Master of Science in Finance (MSF) from Northeastern University’s D’Amore-McKim School of Business, they can expand their academic and practical knowledge to curate and ideate the insights that establish their roles as thought leaders. From acumen and experience with cutting-edge practices to the confidence they need to present their ideas industry-wide, MSF students can gain essential advantages. To learn more about the program and admission requirements, speak with an enrollment advisor today. How can an MSF help you handle global trade complexities? Should you pursue an MSF or a CFA designation?